Yesterday was the annual Free Comic Book Day around the US and abroad. Something I was able to participate in two years in a row if you can believe that. While Free Comic Book Day is an excellent day for publishers, store owners, comic book fans and their families I wanted to “gently” remind everyone that at Ectocontainment™ every day is (cheap plug) FREE The Real Ghostbusters comic book days, brought to you by NOW and myself. 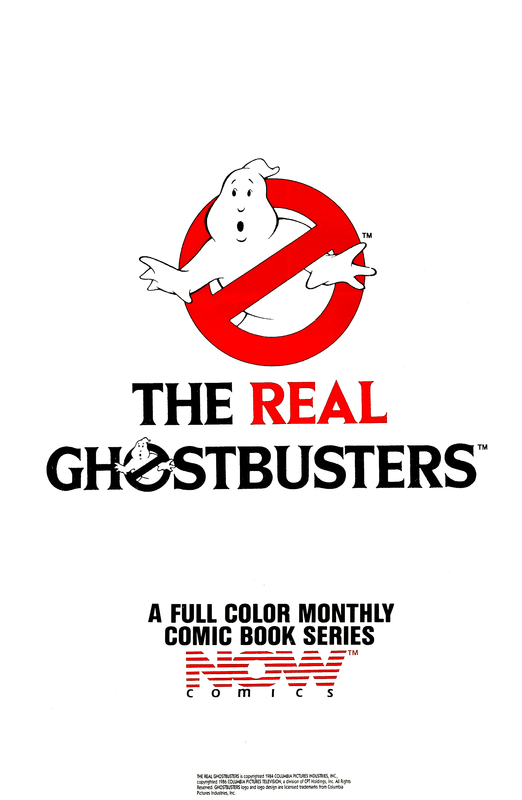 I have scanned, cleaned, and where needed restored Volume 1, Issues 1-28 of The Real Ghostbusters comics from Now Comics. (Ghostbusters Firehouse) I also scanned, cleaned, and where needed restored, albeit in 2007 The Real Ghostbusters Starring in Ghostbusters II three parter. Originally I only had the limited to 1,000 copies trade paperback. Also this year I scanned, cleaned, and again where needed restored Issue 1 of Slimer! Going forward I will be working on and putting up the special, the 4 issues from Volume 2, and annuals from The Real Ghostbusters comics. I will also be putting up Issue 2 of Slimer! As I’ve previously talked about I don’t have every issue of Slimer! and don’t know if I will add the comics I do have to Ectocontainment.